The Iowa City Brewfest 2016 is this Saturday, September 24th. Nothing kicks off the festivities better than a chance to make it date night with gift cards to downtown Iowa City and a safe ride home. This week, each ride you take will enter you to win a Iowa City prize package. Prizes include a $50 gift card to shops in downtown Iowa City, a $10 gift card to High Ground, and $50 credit to take an Uber ride home. 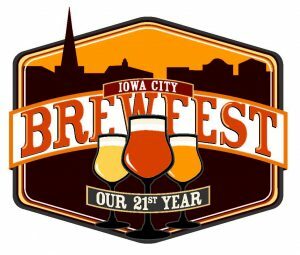 Going to the Iowa City Brewfest on Saturday, Sept. 24th? Uber driver-partners will be doing pick up and drop offs at next to Blue Bird diner on Gilbert St.
For a first free ride up to $20. New users only. Expires 10/26/16. SWEEPSTAKES PERIOD: SEPTEMBER 20, 2016 AT 12:00 PM CENTRAL TIME UNTIL SEPTEMBER 24 , 2016 AT 2:00 AM CENTRAL TIME. WINNERS ANNOUNCED: SEPTEMBER 24, 2016 AT 12:00 PM CENTRAL TIME. AGE REQUIREMENTS: UBER USERS 21 YEARS OR OLDER IN IOWA CITY, IA. METHOD OF ENTRY: DURING THE SWEEPSTAKES PERIOD, YOU MUST ENTER BY ENTERING THE “ICBREWRIDE” PROMO CODE IN THE UBER APP AND COMPLETING AN UBER RIDE. UBER USERS MAY ALSO ENTER BY E-MAIL WITHOUT OBLIGATION, BY SENDING YOUR NAME AND EMAIL ADDRESS TO KATE.RANDICH@UBER.COM WITH NAME OF THE SWEEPSTAKES IN THE SUBJECT LINE. E-MAIL ENTRIES MUST BE TIME-STAMPED ON OR BEFORE THE FINAL DAY OF THE SWEEPSTAKES PERIOD. MULTIPLE ENTRIES, BOTH BY RIDING ON UBER AND BY E-MAIL, ARE ALLOWED. PRIZES AND APPROXIMATE RETAIL VALUES: INDIVIDUALS WILL BE ELIGIBLE TO WIN THE FOLLOWING PRIZES WITH THE ASSOCIATED RETAIL VALUES: ONE (1) PRIZE PACKAGE WITH ONE (1) $50 GIFT CARD TO DOWNTOWN IOWA CITY, ONE (1) $10 GIFT CARD TO HIGH GROUND, AND ONE (1) $50 UBER RIDE CREDIT. HOW WINNER IS SELECTED: THE WINNER WILL BE RANDOMLY CHOSEN FOLLOWING THE END OF THE SWEEPSTAKES PERIOD. CONTACT: WINNER WILL BE CONTACTED VIA E-MAIL. OTHER TERMS: FOR ADDITIONAL TERMS AND CONDITIONS APPLICABLE TO THE KALAMAZOO BEER WEEK SWEEPSTAKES, PLEASE SEE SWEEPSTAKES RULES.